Rwandan champions Rayon Sports Fc departed for Mozambique on Sunday night ahead of their CAF Confederations cup return leg clash against CD Costa do Sol due on Wednesday in Maputo. The team is expected to arrive in Maputo today afternoon before holding a light training session at Estádio do Costa do Sol later in the evening. Rayon Sports take with them a 3-0 lead and are beaming with confidence ahead of the match that stands between them and the lucrative group stages. Burundian pair of Pierre Kwizera and Bon Fils Caleb Bimenyimana are pivotal players who will be out of the return leg due to suspensions received in the previous matches. Meanwhile, Rayon Sports skipper Eric ‘Bakame’ Ndayishimiye has warned his teammates against complacency during the second leg of the CAF Confederations cup tie against Costa Do Sol. Rayon Sports defeated the Mozambican side 3-0 in the first leg at Kigali stadium last week. Burundian striker Hussein ‘Tchabalala’ Shabani scored a brace while midfielder Kevin Muhire added another to give the league leaders an edge over their opponents. Ndayishimiye, who will be 30 in June says that his team should learn from what happened in the Champions league when European giants were defeated after having a commanding lead and how Real Madrid were almost dumped out too. “I told my colleagues that they should ignore people who are calling us favourities because like what we saw in the Champions league, it is easy for a team to come back from a 3-0 loss to overturn the tie. We need to approach the match in the same we did in the first leg,” Ndayishimiye said. 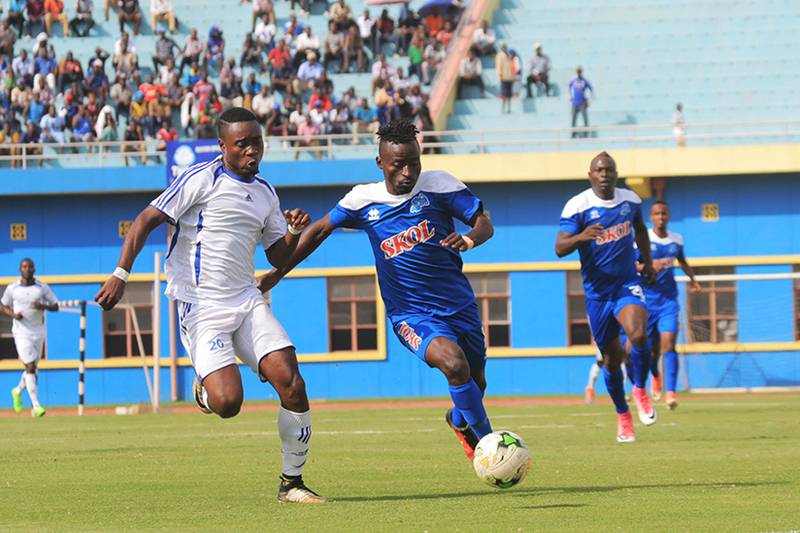 Rayon Sports need a goalless draw or not lose by more than 2 goals while Costa do Sol needs to score four times without reply to eliminate Rayon Sports. The match will be officiated by Burundian referees Thierry Nkurunziza, Shabani Niyungeko and Ramadhan Nijimbere. The winner of the two-legged tie will advance to the group stage of the continent’s second biggest club competition. Forwards: Yassin Mugume, Shassir Nahimana, Djabel Manishimwe, Shaban Hussein Tchabalala, Ismaila Diarra and Christ Mbondi. This victory will write a new history in Rwandan football and will be a big boost to Rayon fragile economy. Other giants like APR and AS Kigali can learn and do their best to secure a group stage qualification in future African competitions.